Fallen Women is the exciting theme for the return of the Welsh National Opera (WNO) to Birmingham. 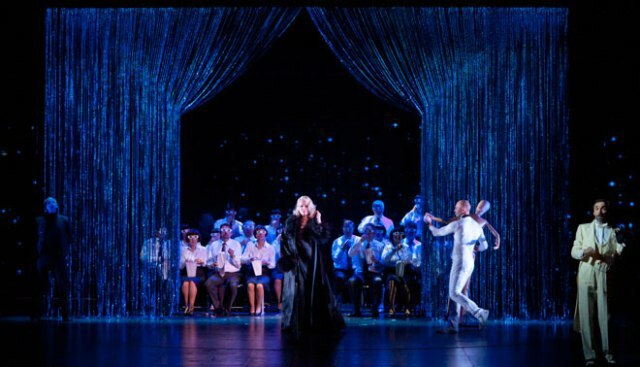 It's very much a case of it ain't over until the bad lady sings for the Spring Season, which features three famous operas - La traviata, Manon Lescaut and Boulevard Solitude. They take centre stage at Birmingham Hippodrome from March 4 until March 8. Here is a round-up of the trio of operas, which all focus on women whose different paths in life lead them astray. David McVicar's production of La traviata is a classic revival of Verdi's tearjerker about compassion, love and self sacrifice. Sumptuous stage sets and Victorian costumes accompany world-famous arias, including the wonderful Brindisi "Drinking Song". It tells the tale of courtesan Violetta and how her love for Alfredo is tarnished by his pompous father. When the father finally realises his mistake, time is against him reuniting the couple as Violetta is gravelly ill.
David Poutney, WNO's artistic director, explained that La traviata has a level of hypocrisy, which lies in "permitting the audience the titillation of watching a woman behave badly for three acts on the condition that she points up the moral by dying miserably in the fourth". He adds: "The males in the audience in 19th century Paris were not above visiting such women themselves, but they still demanded that their wives and daughters were presented with an elevating moral lesson." The opera is 2hrs 40mins with two intervals. Sung in Italian with surtitles in English. Manon Lescaut has earned its place in musical history as Puccini's first great opera in 1893, but this new adaptation brings a modern edge to the proceedings by setting it in contemporary times. Yet another tearjerker, this story charts how an innocent young woman has her head turned by the amorous men around her. Running off to live with one man but loving another, Manon's life spirals into a tragic conclusion. Mariusz Trelinski directs the tale of obsession and self destruction - and marks the first time that Trelinski has directed for a UK opera company. It is approx 2hrs 30 minutes including one interval. Sung in Italian with surtitles in English. Boulevard Solitude by Hans Werner Henze is the perfect accompaniment to Manon Lescaut as it is an update of the same story, but set in the 1950s. Focussing on lovers Armand and Manon, their happiness comes under threat from capitalism and corruption in Europe after the Second World War. This production combines jazz, 19th Century opera and 20th Century styles, and is the first time it has been performed outside London. 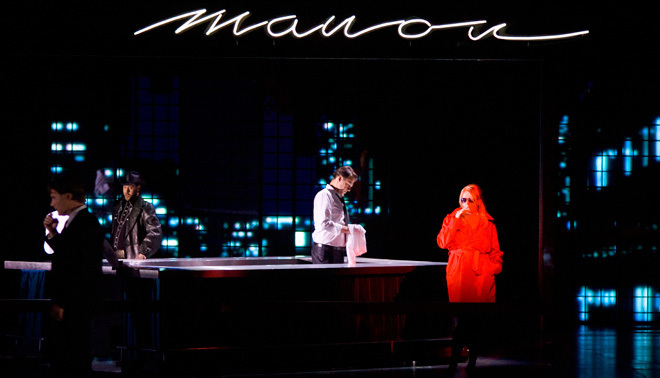 Mariusz Trelinski again directs this new production, which uses the same stage set as Manon Lescaut. It is 90mins long with no interval. Sung in English. Pre-performance talks, post-show discussions, and The Whole Story, where a team of singers and musicians will introduce the stories, music and background of each opera, also take place during the week. Tickets for all the operas cost from £10 to £48. People aged under-30 can get tickets for under £5. Call 0844 338 5000 or visit the Birmingham Hippodrome website. More information on the season is available at the Welsh National Opera website.